These albums are amazing. 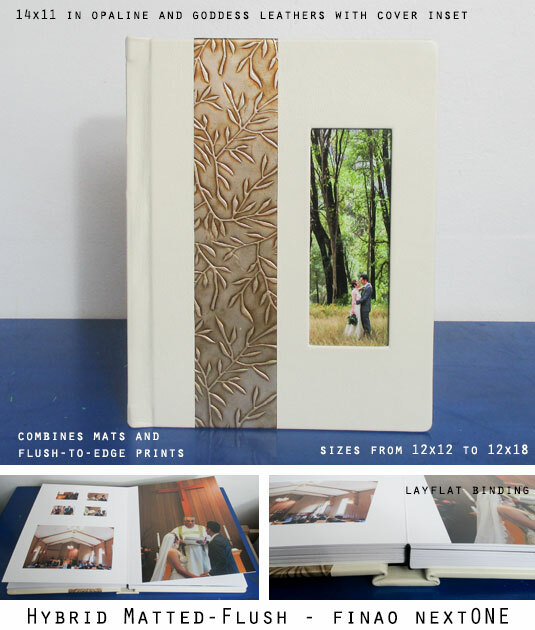 In the mode of the other contemporary style matted albums, with the additional capability mix mats and flush on the same spread, and instead of being restricted to 3-4 dozen mats, the openings can be freely arranged to be just about any size or arrangement. Assembled by hand in New York. The deluxe album is distinguished by incredible cover material choices (including metal, wood and opulent leathers) and a wide variety of options for insets, contrast striping, and other specialty covers.